Find out why the French manufacturer Stand 21 Racewear is famous for more than 40 years. Stand 21 was established in Dijon-France in 1970 by Yves Morizot. Yves’s vision made Stand 21 the world leader in head to toe, made-to-measure racing gear. The secret of Stand 21's success is due to Yves Morizot’s business model that applied the following strategy: Identify a true need, then Stand 21's in house R&D Department will conceive and develop products that will fill these needs. With 150 employees worldwide, Stand 21 products are hand crafted within Stand 21’s own factories, exceeding the most rigorous safety and medical standards required by the FIA, SFI, the Snell foundation etc. Stand 21 offers its products to race car drivers through its exclusive Stand 21 network. This strategy, based on high business ethics delivers Stand 21 products in over 50 countries. That is why Stand 21 supplies safety equipment to top racing teams in FIA, NHRA, NASCAR, OFF ROAD, and more. Stand 21 holds the exclusive license for racing drivers’ equipment with Porsche Motorsport and Corvette Racing worldwide. Yves Morizot dedication to motorsport safety made him create a non-profit foundation that is exclusively dedicated to motorsport safety: www.racingoessafer.com. This foundation is a bridge between the medical and scientific knowledge and their direct motorsport safety application. By conducting safety conferences with Doctors, Engineers and Professors, the foundation raises motorsport safety awareness through education. - Several world championship titles in rallying, touring cars… Stand 21 is proud, most importantly, to have earned the trust of thousands of race car drivers worldwide, who have selected Stand 21 as their favored safety brand. Not bad for a start, but the biggest part is still to be written with you! Based in Talant, France, the Stand 21 headquarters house the design, development and manufacturing of the full product line to the latest safety standards, as well as the assembly of FHR devices. 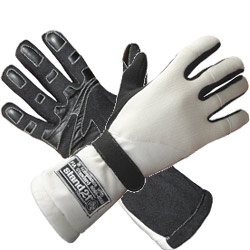 In 2006, Stand 21 added manufacturing capability to fully customize shoes and gloves. Stand 21 invites you to visit our factory in the heart of the Burgundy region, as already did thousands of satisfied customers!